“Experience is the best teacher – and a fool learns in no other way.” The implication of this well-known saying is twofold: Firstly, wise people learn from others, without having to undergo the experiences themselves. Secondly, experience is the euphemistic label people place on their follies and mistakes. 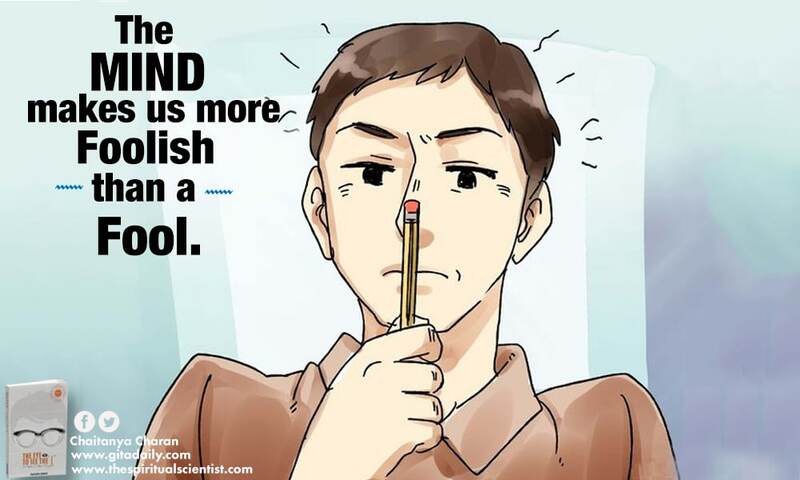 While the saying has its validity, it neglects a third possibility: a person may not learn even through experience. That is the extent of the folly to which we are reduced by the mind. By its insidious influence, it wipes out the basis of our learning: our memory of our experiences. While outlining the eight-stage trajectory to tragedy, the Bhagavad-gita (02.62-63) explains how what begins with contemplation ends in self-destruction. 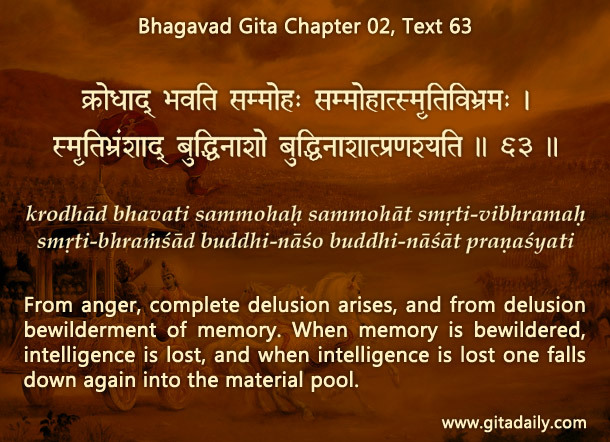 Relevant for our discussion is the sixth stage, the eradication of memory (02.63: smriti-bhrama), which leads to the destruction of intelligence and the final descent to self-defeating behavior. That’s how an alcoholic despite having experienced the miserable consequences of alcohol indulgence – the embarrassing behavior, the hangover, the health complications – still indulges in it because during the moments of temptation, the mind wipes out the memory of the consequences. To protect ourselves from the mind’s dangerous memory blackouts, we need to study scripture regularly. Such study should focus not on seeking new unheard information, but on reinforcing the truths that we know but tend to forget. And because our own experiences have for us the unique force of a first person testimony, we can preserve through a journal the memories of whatever consequences we faced due to our past unregulated indulgences. We usually preserve happy memories through photos and videos, but we can also preserve our miserable memories, for they can empower us to make wiser choices. Whenever the mind starts tempting us, we can prevent it from victimizing us by the double protection of scriptural teaching vindicated by personal testimony. We are in the driver’s seat – but are we? “…during the moments of temptation, the mind wipes out the memory of the consequences” This sentence perfectly makes sense, I have experience of it. Many times I know particular thing is wrong but I still do it. Thanks for making this behavior of mind clearer to me. Hare Krishna !! !